It is a well known fact that the present world is highly competitive. More and more businesses and job opportunities are coming up nowadays and so getting a job is not a difficulty now. There are many opportunities in the construction companies nowadays. Just imagine if you can possess a job that suits your qualification and experience. No wonder that will be great. Yes, it is time to get your dream job. Now it’s very easy and simple to get construction jobs in reputed firms. All you need is the CSCS. CSCS or the Construction Skills Certification Scheme can fetch you good and secure construction jobs and that too in well reputed companies. CSCS cards cannot only get you jobs, but can assure you complete safety at your work site. 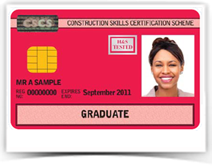 And now, CSCS card is one of the most compulsory requirements to get construction jobs in reputed and quality construction companies. Because the employees those who possess this cards are highly qualified and experienced in their specialised area. In addition CSCS card holders are well aware of the health and safety measures that have to be taken care of while working at construction site. This is the major reason why the employers prefer CSCS card holders for their work site. It is pretty sure that now you will be more anxious to know more about CSCS. No worries, you can collect all details about CSCS from here. To apply for the CSCS cards, you have to first register for the health and safety test. It is much easy and simple to register for this test. One can easily register for this test online. Online registration will also help you to find the venues and time of the test. This will greatly help you to attend your test conveniently and comfortably. Similarly nowadays, there are even experienced professional teams who are rendering various CSCS services to the people. They help people to pass the test successfully and also to complete the formalities required for CSCS. Each CSCS cards are colour coded based on one’s experience and qualification. They are available in red, green, yellow, black, white and grey colours. There are many who are unaware of CSCS even now. For them, these professionals can assist you the best. Yes, they can brief you about CSCS and its benefits. In fact, they can help you pass the multiple choice test easily by providing classes and booklets. 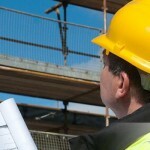 They have helped many employees to own their CSCS cards successfully. Therefore, if you are in need of CSCS and you are totally blank about it contact these professionals today! Yes, they possess well experienced and efficient staffs who can help you in all the processes until you get the card. CSCS is no wonder a gift to the employees. Employees can ensure complete safety at their work site and in fact, you will get quality jobs based on experience and qualification. So if you don’t have a card it’s high time to own one. Yes, CSCS is the right gateway to a successful career.